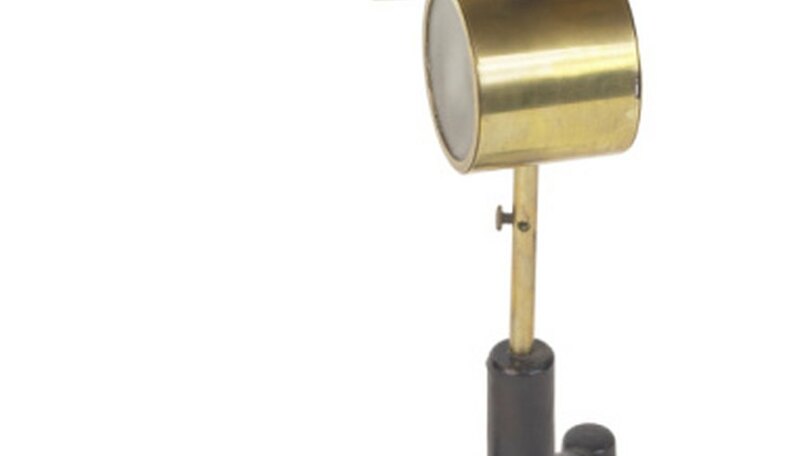 The gold leaf electroscope has been used by physicists for hundreds of years. 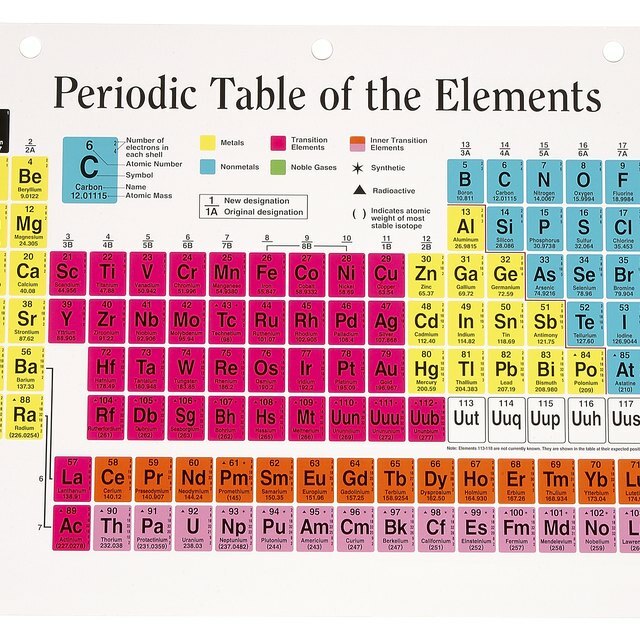 It indicates the presence and magnitude of a charge through the application of charge to a copper top plate connected through a stem to two pieces of gold leaf. The movement of one piece of gold leaf away from the other shows that the electroscope is charged. The gold leaf is sealed in a glass case to prevent accidental movement induced by air currents. The stem passes through insulation so that charge cannot escape from the gold leaf. Electroscopes can show the relative charge of an object through the movement of the gold leaves inside. As the gold leaves gain more positive or negative charge, they spread out. To demonstrate this, place a charged object near the electroscope. The object can be something as simple as a polythene rod that has been rubbed with a cloth. By moving the charge near the electroscope’s top plate, it acquires the opposite charge of the object. The closer the object is brought, the greater the separation will be seen inside. By touching the top plate of the electroscope with a charged object, the charge is itself transferred to the electroscope. This results in the gold leaves having the same charge and therefore being repelled from each other. When the object is removed, the electroscope will continue to hold the charge. If the experimenter knows the charge held in the electroscope to be, say, negative, she may then determine the charge of an unknown object brought near it by watching the movement of the gold leaves. If the object is negatively charged, the leaves will further diverge. If the object is positively charge or has no charge, the leaves will close a little. Justin Schamotta began writing in 2003. His articles have appeared in "New Internationalist," "Bizarre," "Windsurf Magazine," "Cadogan Travel Guides" and "Juno." He was a deputy editor at Corporate Watch and co-editor of "BULB" magazine. Schamotta has a Bachelor of Science in psychology from Plymouth University and a postgraduate diploma in journalism from Cardiff University. Schamotta, Justin. "Uses of Gold Leaf Electroscopes." Sciencing, https://sciencing.com/uses-gold-leaf-electroscopes-7619051.html. 24 April 2017.